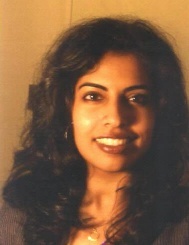 Dr. Saroj Biswas is a Professor of Electrical and Computer Engineering specializing in control and optimization of dynamic systems, electrical machines and power systems, multiagent systems, and distributed parameter systems. His current research focuses on security of cyber-physical systems based on multiagent framework with applications to the power grid, and the development of an intelligent virtual laboratory for electrical machines. He has also developed a control theoretic framework for regulation of magnetic signatures. Dr. Biswas is the author or co-author of over 100 research articles in refereed journals or conferences, and has been involved with $1.5M funded research from various industries and federal sources including NSF and ONR. He is an associate editor of Dynamics of Continuous, Discrete and Impulsive Systems, Series B, and is a member of IEEE, ASEE, and Sigma Xi. 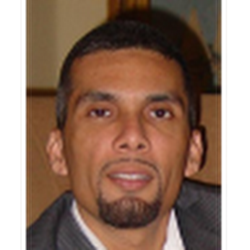 Dr. Aunshul P. Rege is an Assistant Professor with the Criminal Justice Department at Temple University. She received her PhD from the School of Criminal Justice at Rutgers University in May 2012. Her PhD research explored cybercrimes against critical infrastructures. A nation’s critical infrastructure includes those socio-economic entities (transportation, telecommunications, power plants, water supply systems, emergency services) that are crucial to its everyday functioning and security. With the proliferation of technology, critical infrastructures have become computerized and interconnected, making them vulnerable to cybercrimes that compromise, alter, and/or steal sensitive data. Her interests in critical infrastructure research include offender decision-making, dynamic crime scripts, and criminal organization and operation. Other research interests include cybercrime and cybersecurity; the hybridity of crime; environmental criminology and offender decision-making; critical infrastructure protection; terrorism, security, and social control; surveillance and regulation; and international organized crime. Dr. Babak Fahimi received his PhD in Electrical Engineering from Texas A&M University in 1999. 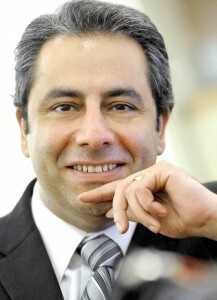 Dr. Fahimi has been the recipient of DAAD scholarship (1993-1995), IEEE R.M. Bass Power Electronics Young Investigator Award (2003), Office of Naval Research Young Investigator Award (2004), SAE Ralph Teetor Educational award (2008), and Fulbright scholarship in 2010. Dr. Fahimi has co-authored 225 (60 Journal and 165 peer reviewed conference papers) scientific articles, 15 book chapters, and several technical reports in the general area of adjustable speed motor drives and power electronics. He holds nine US patents and has six more pending. Dr. Fahimi has served IEEE in various capacities including chairing of the IEEE Vehicle Power and Propulsion Conference (2007), chairing of the IEEE International future energy challenge competition (2009), chairing the electric machines committee in IEEE-IES (2007-2009) and chairing the 2010 IEEE Applied Power Electronics Conference and Expo. 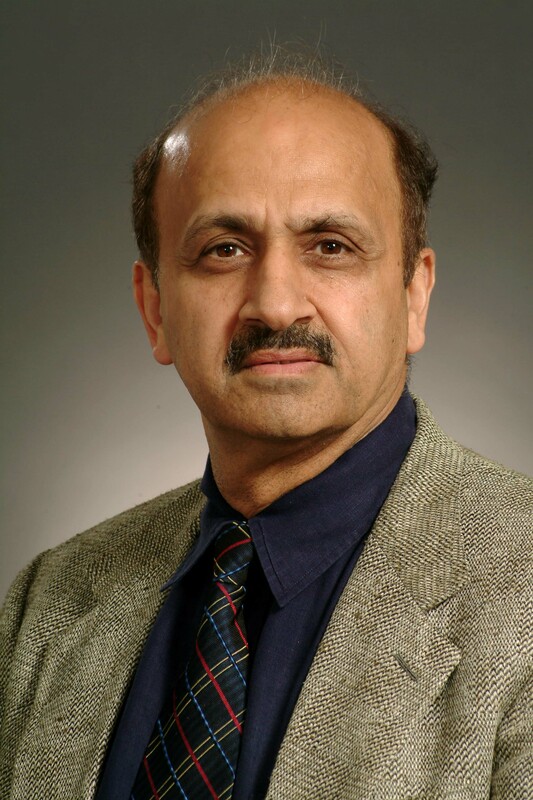 Dr. Fahimi is/has been an associate editor of the IEEE Transactions on Industrial Electronics, IEEE Transactions on Energy Conversion, IEEE Transactions on Vehicular Technology, and IEEE Transactions on Power Electronics. Dr. Fahimi has supervised 11 PhD (four tenure track assistant/associate professors and the other seven in industry) and 14 M.S. students. He has been the principle investigator on number of successful projects funded by ARPA-E, DOE, NSF, ONR and various small and large industries with a total amount of $8M. 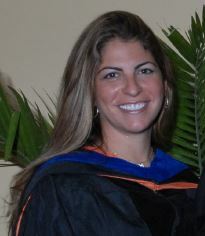 Dr. Elizabeth Cramer has been at FIU since 2002. During that time she has served both the FIU local, state, and national community in many realms including as Program Leader for Special Education on campus and as President of the Florida Council for Exceptional Children. Her research focuses primarily on preparing teachers to work with students with disabilities who are culturally and linguistically diverse in inclusive settings. Dr. Cramer has published more than a dozen peer reviewed journal articles and a book in this area. She has been a recipient of seven OSEP grants in the past six years totaling $5.7 million. These projects all aim to prepare culturally and linguistically diverse special educators and academic leaders to be highly effective in educating all students in urban settings. Dr. Faisal Kaleem received his M.S. and Ph.D degrees in Electrical Engineering from Florida International University in 1999 and 2012, respectively. 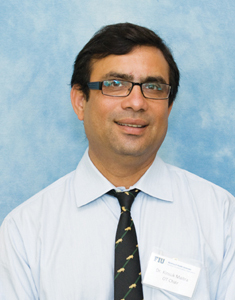 He joined Florida International University in 1998 and served in the capacity of lecturer in School of Computer Science and College of Business Administration. Currently, he is serving as a lecturer in the department of Electrical and Computer Engineering. He has received numerous awards including the best professor and the best course awards from various graduated cohorts. In recognition to his teaching, he also received a university wide Faculty Award for Excellence in Teaching.He is also a Certified Trainer with strong skills in Computer Networking, Programming, Database Design, and Information Security. He currently holds various certifications in the above areas, including the world renowned Certified Information Systems Security Professional (CISSP) certification.His research interests include Wired and Wireless Networks and their security, Wireless communication systems, Neural Networks, and Fuzzy Logic based Systems. 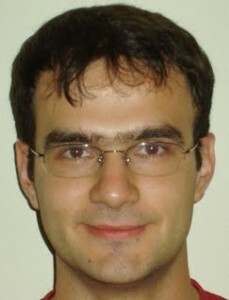 Dr. Gustavo Roig is currently a Professor of the Department of Electrical and Computer Engineering. He earned his B.S Degree in Electrical Engineering at the University of Puerto Rico in Mayaguez, Puerto Rico and his Ph.D in Electrical Engineering at the University of Florida. 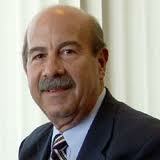 He has been at FIU since 1983, since then he has brought over 25 million dollars in contract and grants to FIU. But more importantly he has helped to mold thousands of pre-college students into success stories through the numerous special programs he ran. He has served as a member of the Committee on Equal Opportunities in Science and Engineering of the National Science Foundation (2000-2003). He was a member of the Board of Directors of the Junior Engineering Technical Society (2000-2002), and also served as member of the Advisory Committee for Engineering of the National Science Foundation (2000-2003). Dr. Ismail Guvenc (senior member, IEEE) received his Ph.D. degree in electrical engineering from University of South Florida in 2006. He was with Mitsubishi Electric Research Labs during 2005, with DOCOMO Innovations between 2006-2012, and with Florida International University between 2012-2016. Since 2016, he has been an Associate Professor with the Department of Electrical and Computer Engineering at North Carolina State University. His recent research interests include 5G wireless systems, communications and networking with drones, and heterogeneous wireless networks. 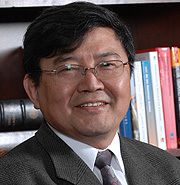 He has published more than 130 conference/journal papers and book chapters, and several standardization contributions. He co-authored/co-edited three books for Cambridge University Press, served as an editor for IEEE Communications Letters (2010-2015) and IEEE Wireless Communications Letters (2011-present), and as a guest editor for several other journals. Dr. Guvenc is an inventor/coinventor some 30 U.S. patents. He is a recipient of the FIU College of Engineering Faculty Research Award (2016), NSF CAREER Award (2015), Ralph E. Powe Junior Faculty Enhancement Award (2014), and USF Outstanding Dissertation Award (2006). Dr. Kang K. Yen has been involved in theoretical works on control theory and on parallel simulation algorithms development for real-time applications in the past several years. In the same periods, he has also participated in several industry supported projects on real-time data processing and microprocessor-based control system designs. Currently, he is interested in research and development of intelligent control system design methodology to improve dynamic system’s performance and reliability, both theoretical and application oriented problems are being considered. He is a registered professional engineer in the State of Florida. Dr. Kinsuk Maitra has expertise in basic mechanisms and clinical management of disabilities as well as expertise in clinical outcomes research. As one of the board of directors of the American Occupational Therapy Foundation Dr. Maitra has a well-informed perspective on the gaps in our knowledge of attention and behavior management of children with disabilities. Dr. Maitra was intimately involved in managing five occupational therapy clinics including pediatric clinics and academic facilities at Rush University Medical Center in Chicago before joining FIU. As chair of the occupational therapy department at FIU, it is his responsibilities to place OT students in school system to be trained school based therapists. School based occupational therapists help teacher to manage classroom functions for children with disabilities. AT is also an expertise of occupational therapists. Therefore, Dr. Maitra is uniquely positioned to collaborate a team of researchers in the successful completion of this project. Dr. My T. Thai is an Associate Professor in the CISE Department at the University of Florida, Gainsville. Her research interests span the optimization, the theoretical and applied algorithmic mathematics underpinnings of Network Security and Vulnerability, Complex Networks Analysis, and Network-based Data Mining. The networks studied in her research works are various, including communication networks, online social networks, wireless sensor networks, biological networks, and smart grids. She analyzes and applies these optimization models and algorithms to many application domains: (a) security in smart grids such as load distribution attacks and cascading failures, security in social networks such as limiting misinformation, security in communication networks such as DDoS attacks; (b) information diffusion and propagation in social networks; (c) fault-tolerant routing protocols in mobile networks; (d) coverage and cloud phenomenon detection in sensor networks, and (e) structural analysis of modern complex systems. Dr. Nezih Pala is an Assistant Professor in the Department of Electrical and Computer Engineering. He did his PhD in Rensselaer Polytechnic Institute at Troy in NY. Recently, he was selected by the Army Research Laboratory (ARL) Multiscale Multidisciplinary Modeling of Electronic Materials (MSME) Collaborative Research Alliance (CRA) to participate as the Minority Serving Institution (MSI) partner. The award will provide support for several graduate students and computational infrastructure to perform 3D simulations of THz plasmonic structures. 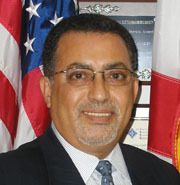 Dr. Osama Mohammed is a Professor of Electrical and Computer Engineering and the Director of the Energy Systems Research Laboratory at Florida International University. He received his M.S. and Ph.D. degrees in Electrical Engineering from Virginia Polytechnic Institute and State University. He published numerous journal articles over the past 30 years in areas relating to power and energy systems as well as in the area of computational electromagnetics and the design optimization of electromagnetic devices. He has performed research work in artificial intelligence applications related to these areas. He authored and co-authored more than 400 technical papers in the archival literature in Journal and major conference record. He has conducted research work for government and research laboratories in shipboard power conversion systems and integrated motor drives. He also has recent interest in energy cyber physical systems and the application communication and sensor networks for the distributed control of smart power grids. Professor Mohammed is a Fellow of IEEE and is the recipient of the prestigious IEEE PES Cyril Veinott Electromechanical Energy Conversion Award in 2012. Dr. Mohammed is also an elected Fellow of the Applied Computational Electromagnetic Society (ACES). Dr. Sartaj Sahni is a Distinguished Professor of Computer and Information Sciences and Engineering at the University of Florida. 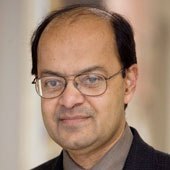 He is also a member of the European Academy of Sciences, a Fellow of IEEE, ACM, AAAS, and Minnesota Supercomputer Institute, and a Distinguished Alumnus of the Indian Institute of Technology, Kanpur. Dr. Sahni has published over three hundred and eighty research papers and written 15 texts. He has 14 US patents. 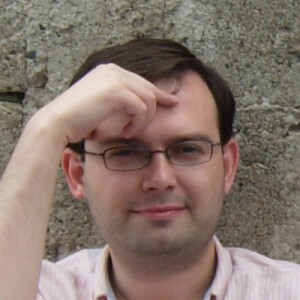 His research publications and patents are on the design and analysis of efficient algorithms, parallel computing, interconnection networks, design automation, and medical algorithms. He is presently the Editor-in-Chief of ACM Computing Surveys and is on the editorial board of 17 other journals. He is also a member of the steering committee of several international conferences. Dr. Walid Saad is an Assistant Professor in the Department of Electrical and Computer Engineering at the University of Miami. His research interests/specialization is in Wireless Networks, Game Theory and its Applications, Small Cell Networks, Network Science, Network Economics, Smart Grids, Wireless Security and Cloud Computing. He has supervised doctoral theses and has a funded research project that works on “Towards Context-Aware, Self-Organizing Wireless Small Cell Networks”, funded by the National Science Foundation.